Bromsgrove Station Bromsgrove Station (entrance from New Road shown above in August 2003) opened on the Midland Railway's Birmingham to Bristol main line in 1840 and lies at the foot of the infamous Lickey Incline. Its history is inextricably entwined with that of the Incline as banking engines to assist trains in their climb used to be stationed here. 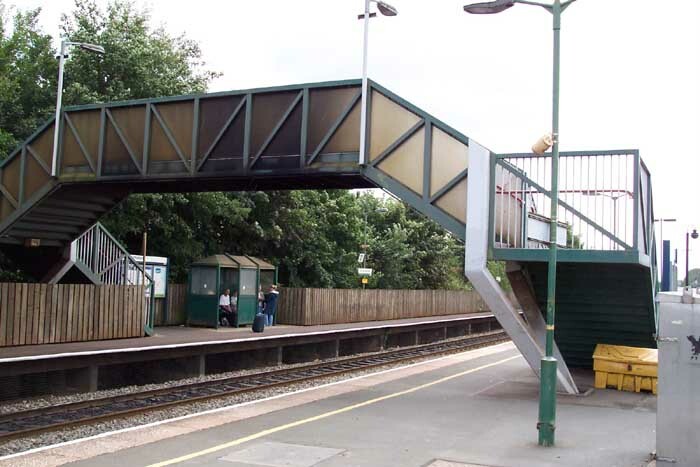 Any grandeur once associated with the station is now gone however as it has been reduced, like so many stations in the area, to an unstaffed halt and all its buiildings and original lattice-work iron footbridge have been removed. Above-left we are on the Birmingham platform looking south showing the modern footbridge and the omnipresent 'bus shelter' on the southbound platform. 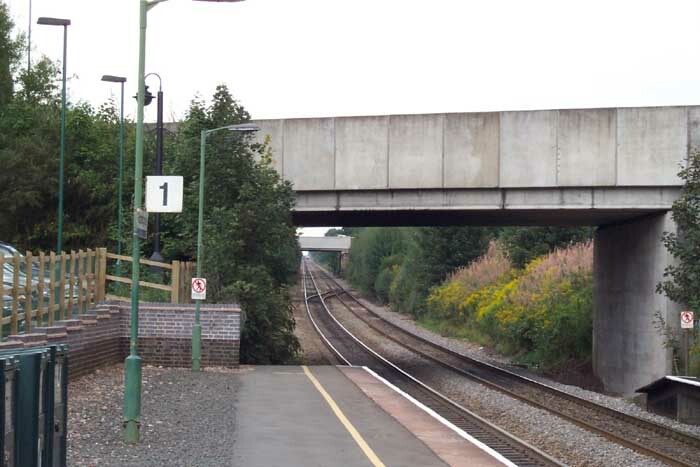 Above-right we are again on the Birmingham platform but this time looking up the Lickey Incline towards Blackwell - the severity of the gradient can clearly be seen in this photograph. 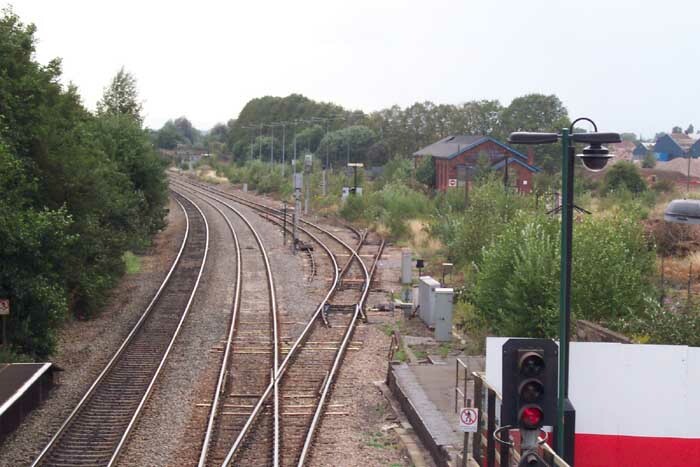 Above we are looking away from Lickey Incline at the seemingly rarely used loop lines and to the right of the lines is the old Midland goods shed minus its rail connection and goods yard. It is, however, good to see such a structure survive years of rationalisation, remodelling and destruction on the railways. 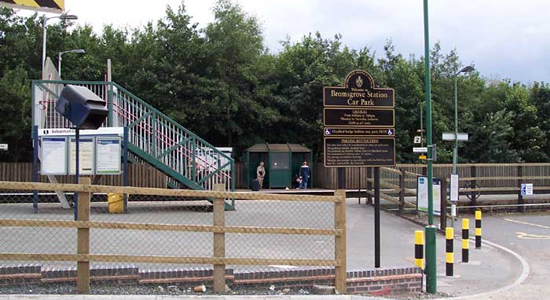 For additional pictures of this station, click on the 'Train Photos' link on the left-hand side.